Easy-to-prepare tea recipes for making iced tea, herbal tea and chai tea, as well as cake, smoothie, ice cream and low-calorie green tea based diet. Tea is not just a tasty beverage. When incorporated into a sensible eating plan, it can actually help increase weight loss. If you are trying to shed a few pounds, why not try out my tea-based diet plan? Believe me, by the time you finish working your way through those ice cream recipes, you’ll need it! I’ll show you how to cook delicious green tea-based meals. You won’t feel deprived, and you’ll even get dessert! 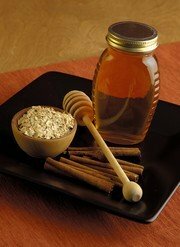 Chai Tea Oatmeal - Chai spices and milk make ordinary oatmeal extraordinary! Wild Mushroom Soup with Whole Wheat Crackers - So rich, creamy and filling that it’s easy to forget it’s also good for you! Earl Grey Mushroom Risotto with Brown Rice - A healthier take on the Italian classic. Who says you can’t have dessert on a diet? Have your cake and eat it, too with these luscious healthy tea recipes! Green Tea Smoothie On The Go! A green tea smoothie is a great way to boost your energy level and get healthy ingredients without eating an entire meal. By combining a variety of healthy ingredients with those that taste good, I can ensure the smoothie is rich in vital nutrients. This is a wonderful way to eat healthy without even knowing it! You too can infuse your favorite smoothie with power-packed green tea as well as other healthy alternatives. Powdered green tea may be easily added to smoothies, but the best way to incorporate this important, antioxidant-rich ingredient is to brew a nice strong cup of quality green tea and then let it cool before adding it to your smoothie. I have included a couple of my favorite smoothie recipes. Please feel free to substitute your own preferred ingredients and to experiment with the quantities of each ingredient to satisfy your personal tastes. Green Tea and Almond - Almonds add a lovely subtle flavor and extra protein, while yogurt with active cultures benefits your digestive system. Green Tea and Fruity Frozen - A variation using frozen yogurt. Green Tea and Banana Split - This recipe is excellent for breakfast on-the-go. Have Tea Cake and Eat It Too! Jasmine tea and green tea are not just for drinking. Here are two of my tea recipes that will amaze you! Jasmine Tea Chiffon Tea Cakes - They are odd little cakes, a little flatter than buttery cakes as they use oil instead, which means that they are lower in saturated fats, which is healthier too! Lady Grey Iced tea - This tea is designed to go with the Chiffon tea cake. Green Tea Blueberry Cake - With all of the health benefits to be gained from drinking green tea, it makes sense to incorporate the mild flavor into as many recipes as possible; Green Tea powder can be found in most well-stocked grocery stores. 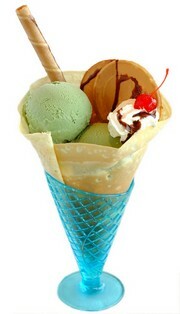 Green tea ice cream is a popular dessert in many Japanese restaurants. However, it’s really very easy to make at home. Homemade ice cream is always better. When you make ice cream at home, you can control the ingredients that are used. Plus, you can make wonderful variations on the basic green tea ice cream recipe that you won’t find in restaurants or stores. No matter how much you love tea, the thought of pouring yourself a steamy mug of tea on an equally steamy summer day can sound less than appealing. If you need a way to beat the heat but don’t want to give up the benefits of tea, try one of our delicious and refreshing iced tea recipes! Southern Belle Peach Iced Tea - This is a southern tradition. 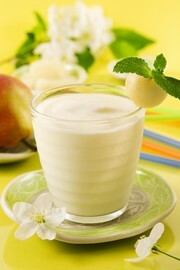 It incorporates the flavors of fresh ripe peaches with cool mint for deliciously refreshing drink! Sun Tea with Honey and Lemon - Is the heat making you too lazy to walk to the stove? Let the sun do the work for you with sun tea! Apple Pie Iced Tea - The flavors of apple pie combined with the goodness of iced tea for a real treat! For centuries and centuries, people have been creating healthy and delicious herbal tea recipes from edible plants. Of course, today the best known "tea herb" is the tea plant itself, Camellia sinensis, but there are many other herbs that make wonderful drinks. Technically, teas made from other herbs are called tisanes or infusions, since they don't contain real tea leaves. However, because the method of preparation is the same as for making tea, many people call them "herbal teas." Herbal teas have many different uses. They can provide emotional comfort, physical well-being, or simply a delicious and refreshing drink. Herbal teas are made the same way that regular tea is - the leaves, roots, or sometimes flowers of a plant are steeped in hot water to extract the plant's flavor. 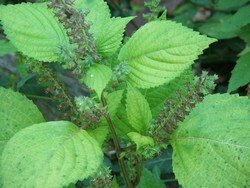 There is an incredible variety of herbs that can be used for tea, including some that you would not expect. For example, almost everyone is familiar with peppermint tea and chamomile tea, but have you ever had tea made from lavender flowers? How about rose petals, or sage? The recipes that follow will help introduce you to the exciting world of herbal tea! Rosemary Ginger Tea - Are you feeling a little under the weather? This tea helps combat the congestion, upset stomach, and all-around “icky” feelings caused by colds, allergies and flu. Bedtime Story Blend Tea - Do you remember begging your mom or dad to read you a bedtime story before you fell asleep as a child? Just like a lullaby, this soothing tea will help you relax, unwind and sail off to dreamland. Peppermint Ginger Tea - This simple tea is excellent for nausea, vomiting, stomach cramps, and other "digestive disturbances." 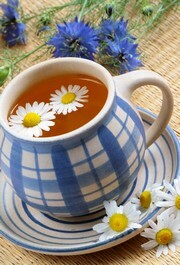 Chamomile Iced Tea - Chamomile has an incredible flavor, like apples with honey. This delicious iced version will help you stay cool no matter how hot it gets outside! Rose Petal Romance Tea - The delicate flavor of rose petals is enhanced by spicy cinnamon and sweet orange. Delicious hot and refreshing cold, it is the perfect drink for an evening with that special someone. Lavender Mint Iced Tea - Many people don’t realize it, but lavender is edible. The flowers add a delicate, flowery perfume and an exquisite taste to this refreshing iced tea. Tired of plain black tea with just milk and sugar? Spice up your life a little with chai tea! Chai tea is the American term for “masala chai,” which is an Indian drink made with tea, spices, milk and honey. “Masala chai” actually means “spiced tea.” Americans have shortened it to simply “chai,” which is a generic word for tea in other parts of the world. Whatever you choose to call it, chai tea is a deliciously different way to enjoy your favorite beverage. 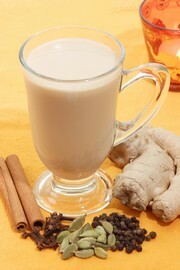 Check out our inviting chai tea recipes! Classic Masala Chai. A traditional chai tea recipe. Chai in a Hurry. An excellent chai tea recipe for when you don’t have time to do things the traditional way. Give the Gift of Chai. A wonderful handmade gift! Rich and Creamy Chocolate Chai. Simply delicious!